A Year of JLSA Fun! 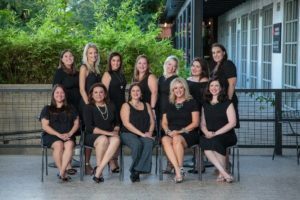 Hi- and welcome to the new 2017-2018 Junior League year! 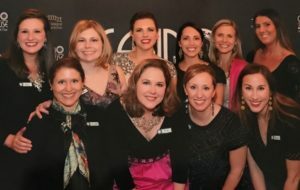 We on the Communications team hope that you enjoy the blog, and learn a bit more about Junior League of San Antonio and all the great things that our members are doing! Thursday, October 26 to Sunday 29, 2017 – Holiday Olé Market Christmas at the North Pole, held this year as the San Antonio Shrine Auditorium. This year marks the 24th celebration of Holiday Olé Market, and the Olé team has been busy for months, working to pick the top vendors for beauty, clothing, home décor, and food. Want to get all your holiday shopping done early? Holiday Olé Market promises to make that easy and fun. Keep an eye out for the parties this year, I hear Santa will back and the goodie bags will be great. Friday, February 2, 2018 – Casino for a Cause, at the Pearl Stable. 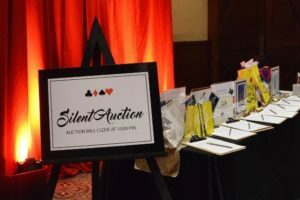 Last year’s event was the inaugural Casino for a Cause and was a smash hit, look for something even better for this year. I heard rumors about VIP tickets available, but remember last year’s event sold out, so get ready to pounce on those tickets soon! 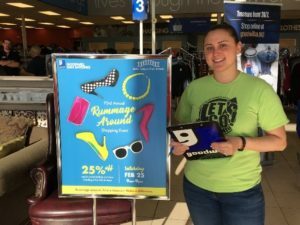 Friday, February 24, 2018 – Rummage Around, at Goodwill locations throughout San Antonio. Each year, Junior League and Goodwill combine forces to create a spectacular day of shopping. 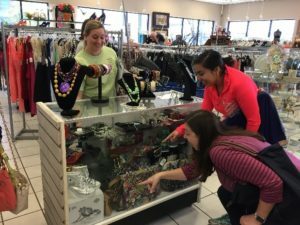 Junior League members donate new or gently used items, and Goodwill provides us with gift cards to distribute to our nonprofit community partners. JLSA members, don’t forget to donate your goods by the end of January! March 25- ¡Viva! SA Race, in Hemisfair Park. This year’s ¡Viva! 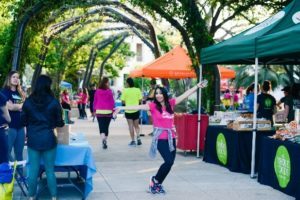 race is part of San Antonio’s Tricentennial celebration. What does that mean for ¡Viva!? 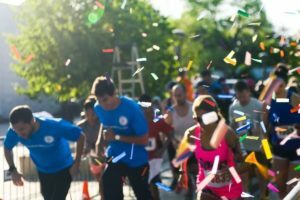 Look out for more celebrations, more publicity, and a big running crowd! Get your sneakers ready. Mission credit screening of “Wild” on Wednesday July 23, at the Alamo Drafthouse Park North. A Reese Witherspoon movie and a mission credit? Sounds great! President’s chat on Tuesday August 8. Get to know our new president of the year, Celina Montoya. Small cluster meetings throughout July and August. For all the New Members, don’t forget to attend a small cluster for each agenda. Meet with your own group or take the opportunity to get to know other new members in different small clusters. Even better, do a combination of both! In the meantime, please let us know what other posts you’d like to see- member profiles, event recaps, Junior League achievements? We welcome any suggestions, and let’s make this an awesome League year!